Formula 1 shakes combine complex carbohydrates with lean protein, which can keep you going for longer without feeling the need to snack! The convenience of new Formula Sachets provide a healthy meal wherever you are. Provides 18g* of heart-healthy soy protein per shake, to help you feel fuller for longer (*mixed with soy milk). Provides 23 key vitamins and minerals. Provides a healthy source of fibre to help support healthy digestion. Helps you control your caloric intake. Sachets are totally portable Ideal for holidays, travelling and at work. 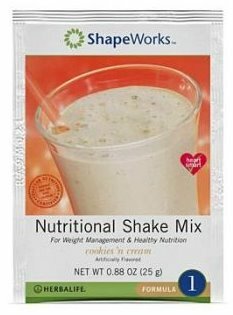 Formulated by nutritional experts, Formula 1 Nutritional Shake Mix is an excellent balance of ingredients for a healthy meal. High in key vitamins and minerals to help you achieve your Recommended Daily Allowance [RDA]. 220 calories to help you control your caloric intake. Naturally high in fibre to help support healthy digestion. 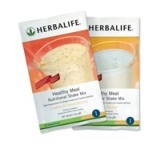 Ideal for breakfast, lunch or dinner as each shake provides an excellent balance of ingredients. Everyday over 1 million Formula 1 shakes are enjoyed worldwide. To help build lean muscle mass as part of a fitness programme. Stay on track with your nutritional programme and reward your body with the nourishment it deserves. Our ongoing personalised support will help you to achieve your goals so you'll always be raring to go. All you have to do is to stay committed and we will support you on your journey. No bulky canister to carry around, sachets are totally portable. Avoid temptation in the workplace: the Sachets are small enough to fit into your pocket or handbag, so you can effortlessly stick to your healthy eating programme wherever you go. Many of us lead extremely busy lives packed with activities from dawn to dusk. It's not surprising then, that at times, the associated stresses and pressures mean that preparing a healthy meal is often over-looked. Formula 1 is an exceptionally convenient and easy to prepare healthy meal alternative which allows you time to continue with your action-packed life. Fitness-minded? : A convenient, healthy meal that will also top up your fuel stores. Active lifestyle? : You may not have enough time to stop and prepare a fully balanced meal, but could certainly spare 20 seconds to prepare a delicious shake. 50+ age group? : Maintain a healthy heart, digestive system and energy levels. Weight-management related? : A healthy, nutritious shake so can help you achieve your weight management goals.